Few things are as closely identified with fandom as the sports fan and the athlete jersey. These articles of clothing are not easily hidden, and unlike a bracelet or a pair of socks, are always drawing attention. Wearing a jersey is an immediate call to the rest of the persons in your vicinity that you will go to bat for the player and the team displayed in bright, eye-catching colors all over your torso. It is not a gesture for the faint of heart — aside from the ironic jersey, which is almost as bad of a crime against sportskind as the fairweather fan that leaves before the game is over. Those fans are the worst. 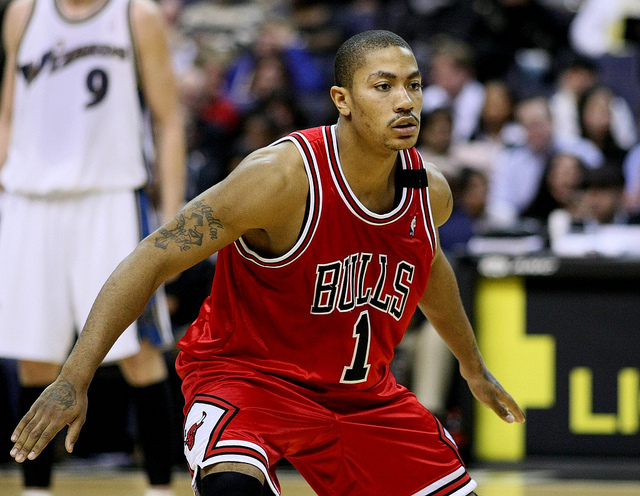 So, for the regular season, here are the ten highest selling jerseys in the NBA. There are some old faces, some familiar faces, some missing faces, and some new faces. There’s going to be at least one surprise, probably. All numbers gathered from the NBA, which calculated its numbers from the beginning of the 2013-2014 season until the end through its own online store. 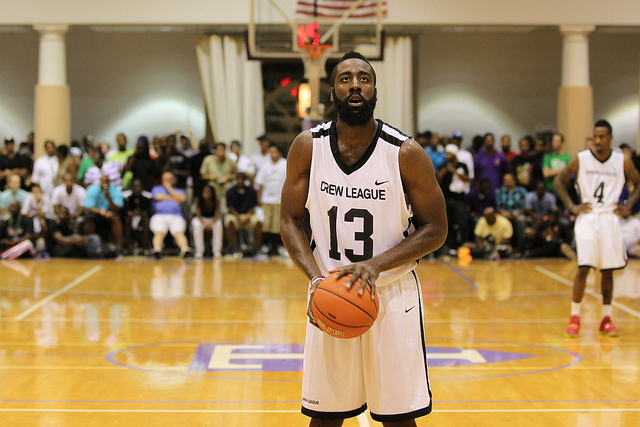 Fear the Beard? Rockets fans around the world are embracing him instead. After Oklahoma City decided they’d rather hang on to their dollars than the Sixth Man of the Year — the club reportedly refused to go into the luxury tax in order to retain Harden’s services, despite a trip to the NBA Finals — Harden quickly signed with the Houston Rockets for the $100 million he wasn’t going to get from the ‘small market team’ that raked in loads of playoff cash every year. So it goes. Harden proceeded to show the rest of the league he could be a first option (on offense, anyway; his defense is, uh, not good) and made Oklahoma City look silly. Houston fans responded accordingly, and Harden’s 2013 season went off without a hitch — 50 plus wins and the tenth best selling jersey in the league. Unlike his contemporaries — Kyrie Irving and James Harden — Chris Paul is currently on a team that’s actually, you know, in the playoffs. Actually, he’s the best point guard in the league “and it’s not even close,” according to Steve Nash (who knows a thing or two about being a great point guard.) So why is he so far down the list, relatively speaking? This is just a seasonal sampling, and Paul spent a chunk of the season on the sidelines, chilling his heels while Blake Griffin and the rest of the LA Clippers held strong to a solid 2013 season. So far, the Thunder/Clippers series has been the semifinals match to watch, and maybe sales will pick up if they make it out of the West. It’s a testament to Dwyane Wade’s staying power that he’s still on this list, not to mention still on what has to be considered a de facto championship contender. 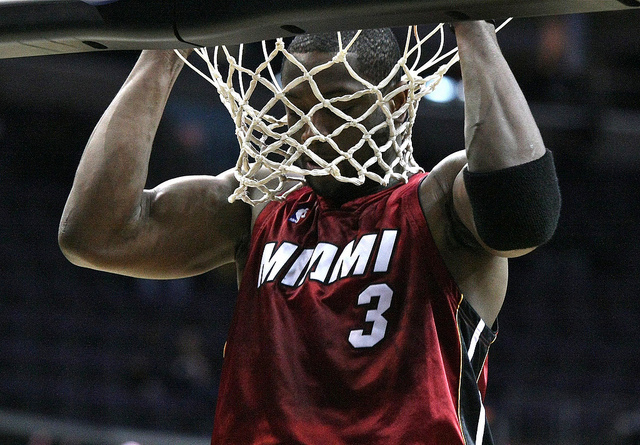 Cast back to, say, 2009, when Wade’s single ring and long litany of injuries threatened to become his defining legacy. Back when Wade was ‘Flash’ and hurling himself everywhere — at the rim, over the stands, into the waiting arms of athletic trainers and medical staff– with reckless abandon, Bill Simmons wrote (in 2006) that, “If Wade doesn’t start picking his spots, he’ll go Earl Campbell on us and be gone from the league by 2011.” Instead, Wade went the way of Athens and created his own Hellenic League in South Beach with Chris Bosh and LeBron James, and is poised to be a big player on his fourth championship team. This is the part where we point out that Carmelo Anthony had basically his best year as a professional basketball player this year. The Knicks were bad in spite of ‘Melo’s Herculean efforts, not because of them. Yeah, the Knicks are still bad. It happens. They are, after all, the Knicks. Anyway, Anthony, who is still a great basketball player on most nights, still managed to pull down tons and tons of jersey sales for 2013-2014. Maybe it’s because his best teammate was Amar’e? Sorry. The man with the prettiest stroke in the NBA, Dubs point guard Stephen Curry continues his march up the jersey list for the ’13-’14 season (he was number six last year), and the Warriors continued to look like a team on the upswing, winning over 50 games and making it back into the postseason in consecutive seasons for the first time since the early ’90s. Curry’s swan song for the playoffs was a 33 point explosion that will help sustain his jersey sales next year, most likely. From one injury plagued star to another, Kobe Bryant set a maddening low in his personal history after only playing in six games over the entirety of last season: a process he described to Jimmy Kimmel as about as fun as eating paint chips. For Bryant, who is one ring and 592 points behind Michael Jordan for overall rings and total points in his career, it was an awful, terrible setback. For Lakers fans, it was a sobering reminder that, one day, there will be an NBA without Bryant. 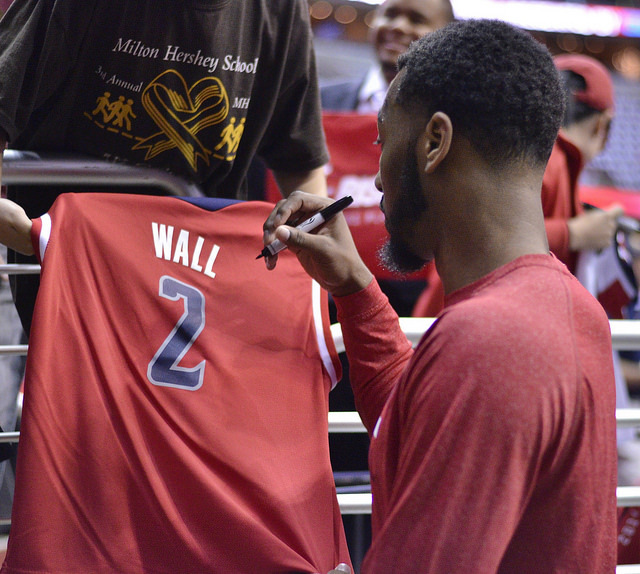 Perhaps that’s why he continued to sell so many jerseys while sidelined. Kevin Durant, about this time last year, told the world he was sick of coming in second. “I’ve been second my whole life. I was the second best player in high school. I was the second pick in the draft. I’ve been second in the MVP voting three times. I came in second in the finals. I’m tired of being second. I’m not going to settle for that,” he said to Sports Illustrated. Durant, who did win the NBA MVP award this year (finally, we assume he thought), is still going to have to settle for second as far as jersey sales go. By now you know who’s number one, right? Of course. Who else would it be? James, who has lead the NBA in jersey sales six separate times since he joined the league right out of high school back in 2003, is indisputably the best basketball player on any known planet in any known solar system right now. At least, as indisputably as a professional sports athlete can be. There will always be people saying that someone else is better, whether out of honest belief or contrarian opinion. This is the second consecutive year that James has been the player behind the highest selling jersey in the NBA, and even for the most diehard fans of other teams, there remains the knowledge that the guy is simply an impressive force of nature on a basketball court. For a league that is too often mired in controversy and not enough in amazement, LeBron’s jersey sales are kind of reassuring — in a weird way. On the one hand, the NBA is full of players who can do amazing things, many of them who should get at least a little more coverage from the people who aren’t basketball fans (like JaVale McGee.) On the other hand, at least they care enough to appreciate how rad LeBron is? We guess? 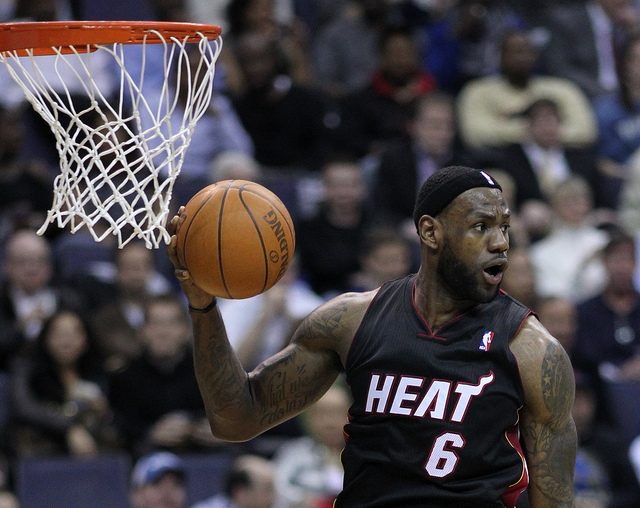 The Heat look poised to make another deep postseason run, and LeBron is a strong part of that.